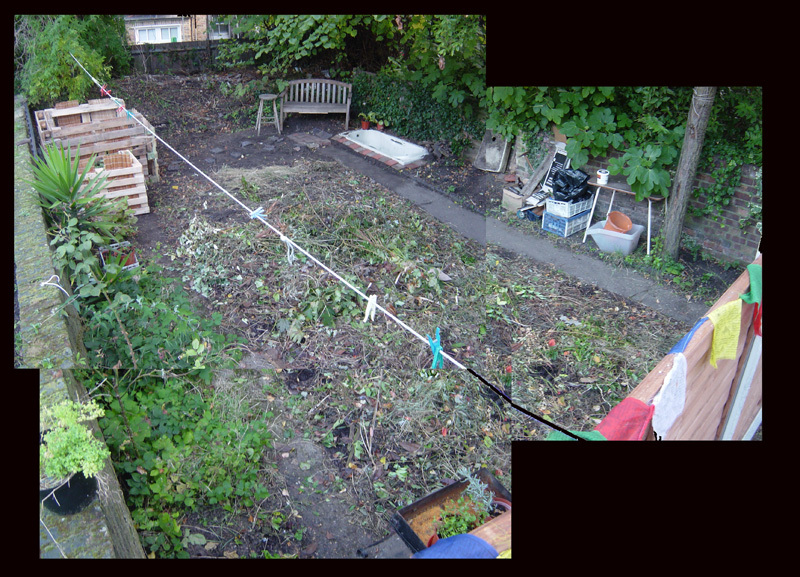 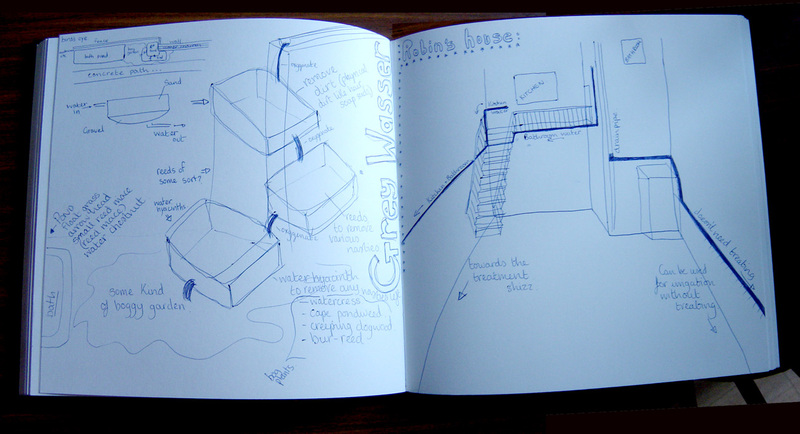 A little while ago we filled in a form applying for a capital growth grant. 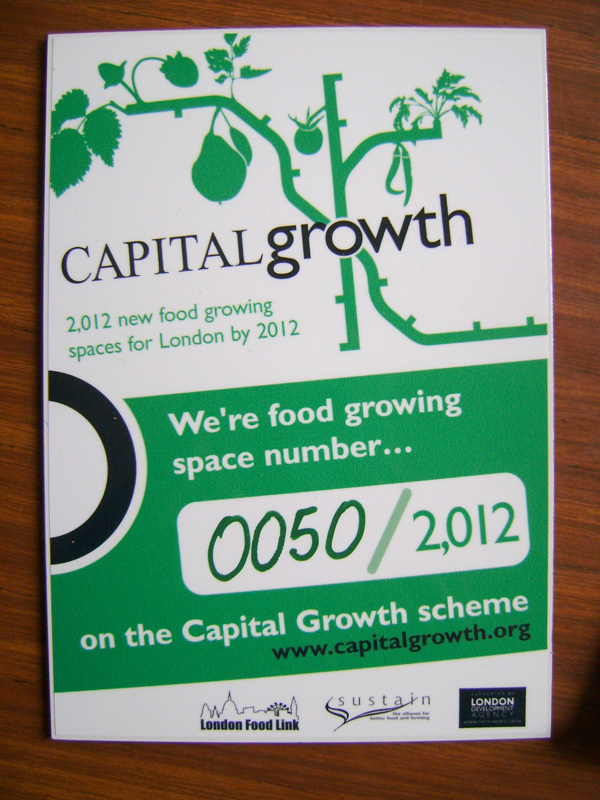 Capital Growth is a scheme to support the start up of 2012 new growing spaces in London by 2012, something to do with the major and some of those politicians no doubt. 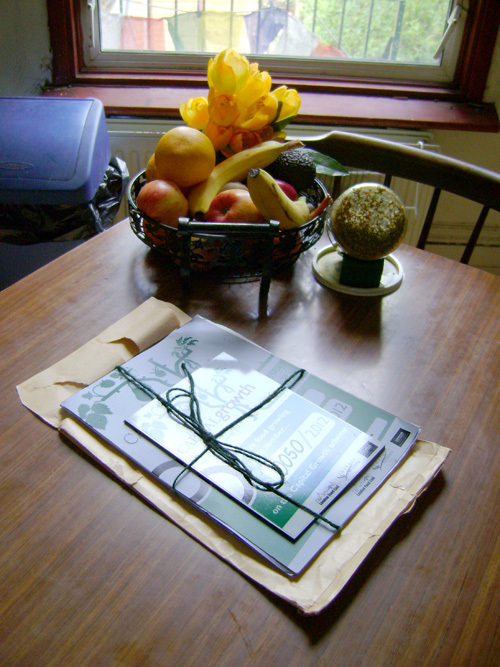 After a few phone chats and a visit from the delightful Eloise, a lovely pack containing various goodies and a cheque arrived… and I didn’t even hear or need to use the word ‘legacy’ once. 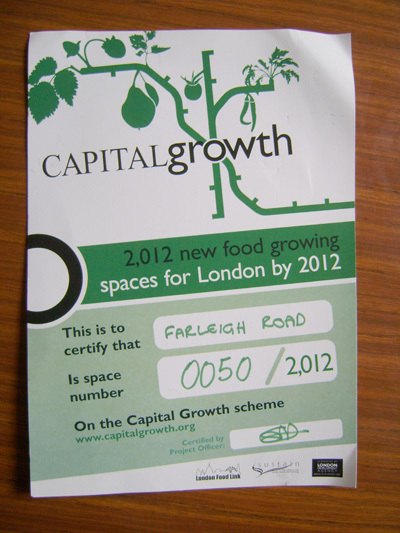 I love that they just put ‘farleigh road’ on the certificate… I kinda feel obliged to garden the whole street now!